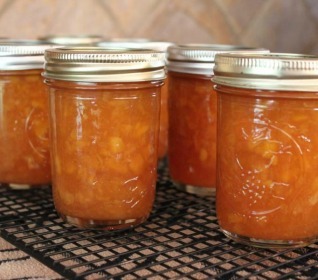 You are here: Home / Blog/News / Blog / Peach Rum Sauce Recipe…YUM! A spoonful of this delicately flavored, luscious sauce turns ordinary desserts into memorable treats. It’s particularly good warmed and served with ice cream. Pumpkin Patch Rose Carrot Cake Jam…yes please!